Imagine London, Ontario or Calgary, Alberta. These two Canadian cities have populations similar to the low-high ranges of people living with FASD. These are conservative figures. 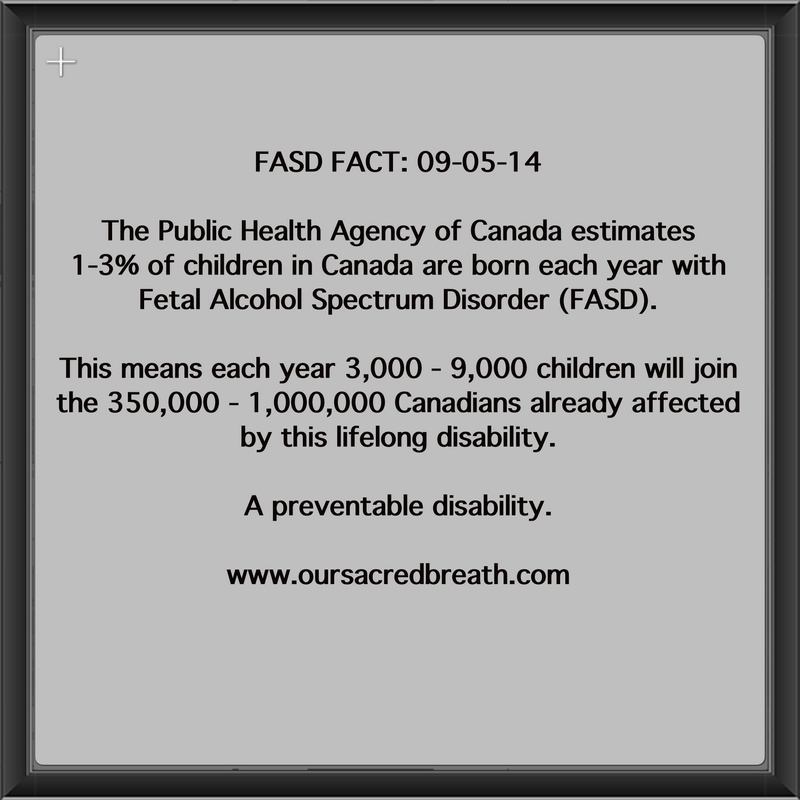 Some recent reports speculate FASD affects 5% of the population. This does not include the families or caregivers who are looking after or being the external brains for these individuals. Drinking alcohol while pregnant can affect your unborn child. If you are having sexual relations and can get pregnant or are planning to get pregnant do not drink alcohol. Support your pregnant friends or relatives by going alcohol free with them. 0 (no) alcohol 4 (for) 9 (months) 049. If you are pregnant, and have had alcohol, discuss it with your health care provider. Being upfront and honest will greatly improve the life ahead for your child. Help those already living with or affected by FASD. Contact a local organization that delivers service for people affected by FASD. Today is FASD Awareness Day.